With the warm weather set to continue, there’s never been a better time to escape to the seaside. 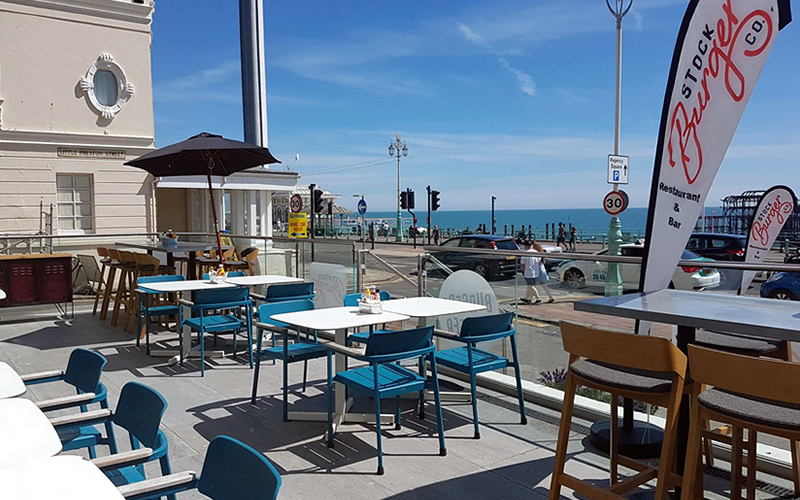 If you’re planning a beach break in Brighton this summer, here are 10 of the best places to dine al fresco. 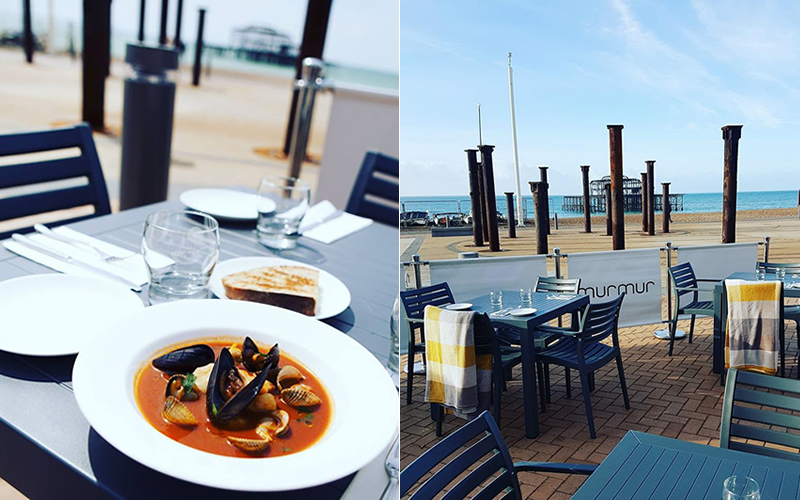 Situated opposite Brighton’s West Pier, this modern British seafood restaurant boasts uninterrupted views of the seafront. Grab a table on the shaded terrace and enjoy dishes like coal roasted crab claws, salt baked bream, and turbot with peas and baby gem. 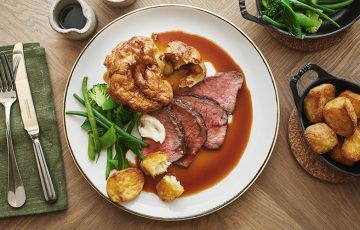 They serve excellent sharing roasts on Sundays – be sure to book ahead. This Kemptown gem has a gorgeous sun-trap garden that’s perfect for long lunches and leisurely summer suppers. Throw in locally sourced ingredients, sweet staff, and interesting wines and you’re already on to a winner. 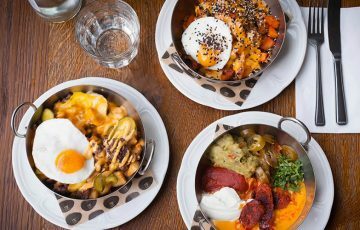 Sister to the award-winning 64 Degrees, Murmur is a relaxed all-day eatery situated in the recently revamped arches on Brighton beach. 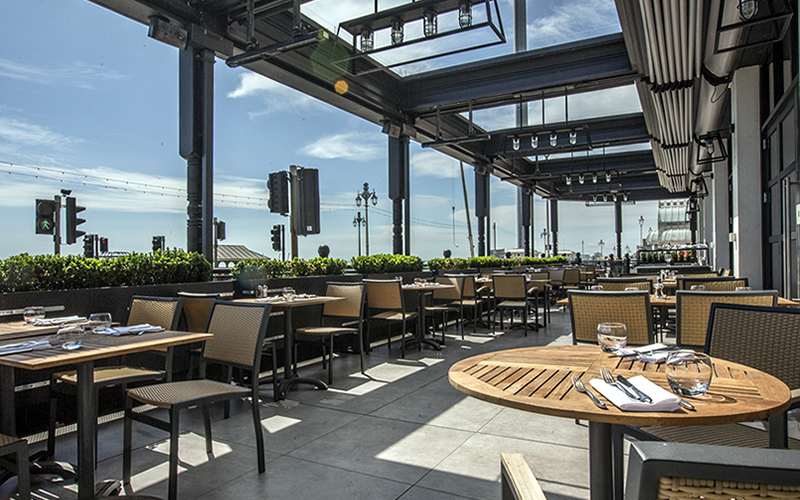 With space for 40 on the terrace, it’s a top spot for an al fresco breakfast or low-key dinner. Expect dishes like grilled prawns with smoked chilli aioli and roast cod with brown shrimp butter. Satisfy your cravings for lobster and oysters at this family-run restaurant on the seafront. There are parasols for shade on hot days, plus lighting and heaters so you can dine al fresco all year round. Their tempura battered oysters with saffron lemon mayo will convert seafood sceptics and there are locally sourced steaks for the die-hard carnivores in your party. Dine under strings of twinkling lights at the Hotel du Vin’s elegant bistro. The menu is inspired by French home-style cooking, so expect familiar favourites like cassoulet, moules marinière, and steak frites. Be sure to save room for dessert or a visit from the cheese trolley. This long-established Italian restaurant is popular with locals and day-trippers alike, thanks to its friendly staff and crowd-pleasing menu. What better way to spend a summer day than twirling spaghetti or sharing a pizza at one of their terrace tables? 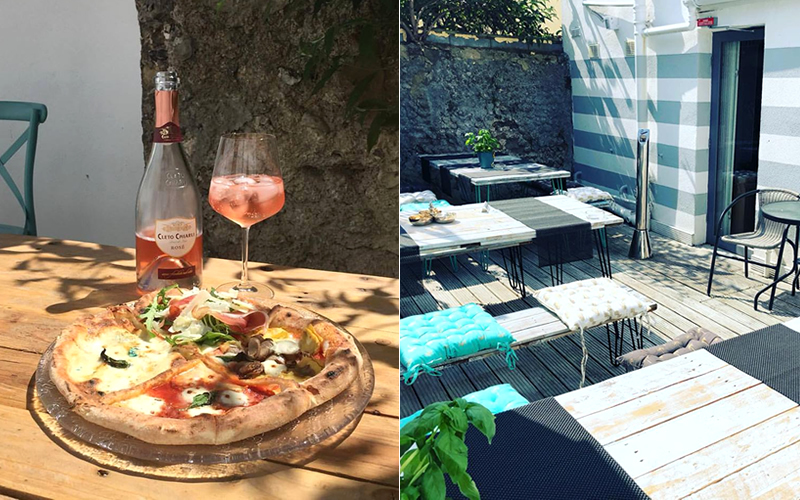 Pizza Pop’s walled garden is the perfect place to soak up the sun and enjoy some authentic Neapolitan pizza. Feeling fancy? Try their truffle pizza, topped with four Italian cheeses and a drizzle of truffle oil – best served with a chilled glass of prosecco. Riddle & Finns now have two restaurants in Brighton – the original oyster bar in The Lanes and this one in the seafront arches. Sit outside and watch the sun set while enjoying Champagne and oysters, seafood linguine, or their famous fish pie. For cocktails, craft beers, and seriously good burgers, book yourself a table at Stock Burger. Go for the build-your-own option and create the burger of your dreams or try the award-winning El Toro, topped with pulled oxtail and melted Swiss cheese. Their spacious seafront terrace is an added bonus. Bringing American BBQ to the British seaside, Smokeys is the place to go if you love pulled pork, beef brisket, or sticky pork ribs. 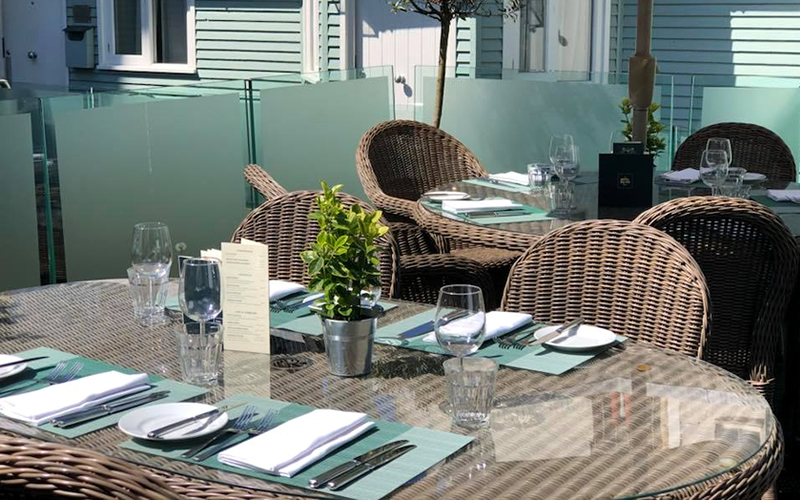 It’s also a top choice for brunch – you can sit outside and refuel after a wild night with a full English or blueberry pancakes. 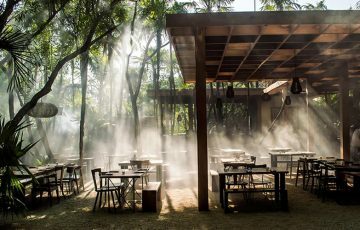 Where’s your favourite place to dine al fresco? Let us know in the comments.